When does someone’s work or their job turn from good to amazing?! when you mix-it-up with Very Wonderful People, that’s how. As I arrived at Nikita, I immediately noticed the “swank-factor’ as I call it, when tasteful elegant design meets Mother Nature and the harmony in design is classic and timeless. As my wife, Tove, was sipping something sultry at the open and beautiful bar looking-out at the Pacific Ocean, I was graciously greeted by world class sommelier, Renee-Nicole Kubin, with a glass of 1999 Vintage Champagne; “Renee-Nicole, help me out here . . . what Domaine?”. Renee’s passion for her work, has become her life, in that she lives and breaths her craft. 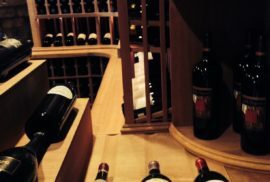 It’s a certain personallity type, really, that can drill-down through the layers-upon-layers of detail with determination to knowing exactly what there is, and what “it is” in the wine world. Renee-Nicole Kubin is more than the quintessential Sommelier – she is a master at her craft. When we work with those like Renee-Nicole Kubin, it’s then, that one realizes her heart and soul has processed her craft to become part of our external, material world; And therein lies the magic: It’s in the Very Wonderful People like Renee-Nicole Kubin at Nikita Restaurant, Malibu. At Nikita Restaurant in Malibu, the magic is in the Very Wonderful People – the staff that flow through the timeless architecture with ease and grace, who enjoy when you enjoy. There is Michelin-starred chef Massimiliano Blasone, humble, gracious, and intent on offering you Malibu’s finest cuisine . . . and Laura, our Server for the evening, was “all in” with her lovely & lively vivacious carisma, her knowledge of the menu/fresh ingredients, and her love for just being there, being in the experential-vision created ultimately by Technolgy Billionaire, Larry Ellison, CEO of Oracle. When surrounded by Very Wonderful People like those above, it is humbling to experience. I think first and foremost, because they are humble – they are humble servants who just happen to be experts in their field; true experts; consumate professionals. We all serve someone, don’t we? But, when we become great at what we do then, we reach a plateau of conscienious-clarity with our work. Combine that with a warm personality and you end up with a world class expereince. Which is exactly what Tove & I experienced – And for that I want to say most sincerely, Thank you, to everyone at Nikita Restaurant for a night Tove and I will never forget. 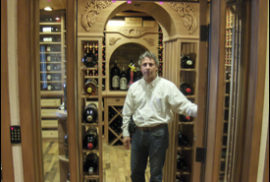 As Founder of Premier Cru, Inc. dba: Premier Cru Wine Cellars a design/build firm of highly artistic, thougthful & beautiful custom wine cellars in Los Angeles, throughout Southern California, and beyond this region. As an expression of our artistic vision, we have created Premier Cru Collection – “Essensce of the Fine Wine Experience . . .” Only handmade, world class items are in the Collection. 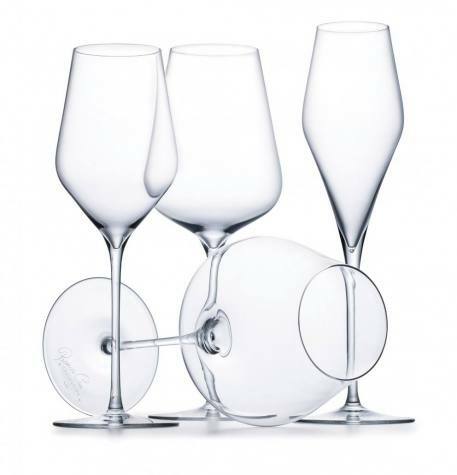 You can find Premier Cru Collection fine wine accessory Boutique at http://104.236.42.189/boutique Our flagship offering is Premier Cru Collection hand-blown lead-free stemware is made in a 200 year old German glass factory, and is exclusively available through Premier Cru Collection in the whole United States. 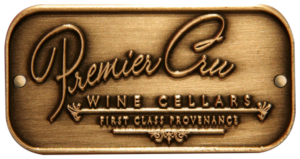 Being lead free means that it is safer and healthier to use and that it is much more durable than leaded stemware; so your Premier Cru Collection stemware will last a long, long time; That’s why we call it and all items offered in Premier Cru Collection “Heirloom Quality“.